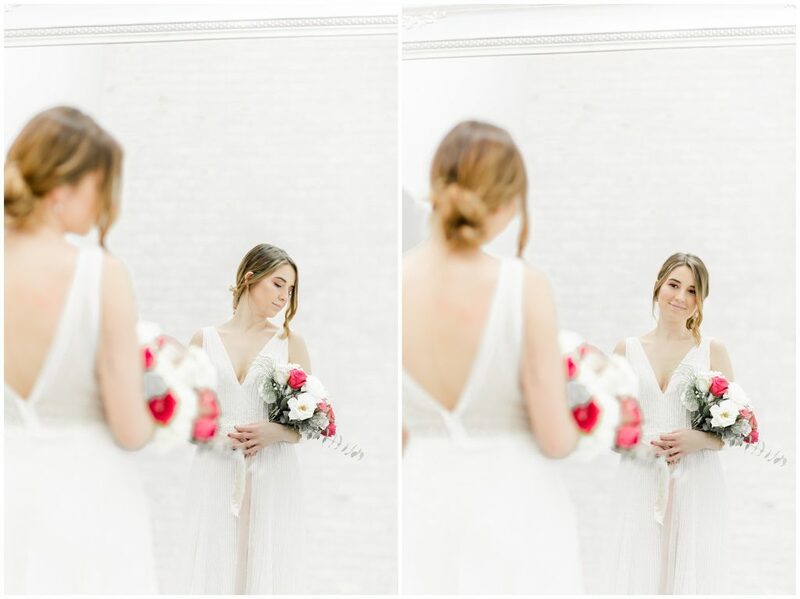 Hannah and Logan’s wedding at Camp Blessing last November was such a beautiful celebration. 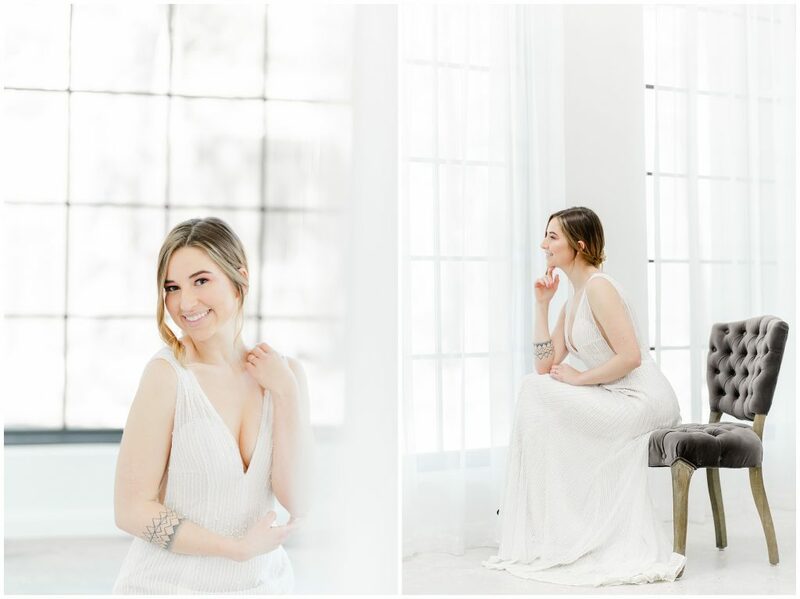 Hannah is so stunning, even bare-faced, hair pulled up, and wearing lounge clothes. 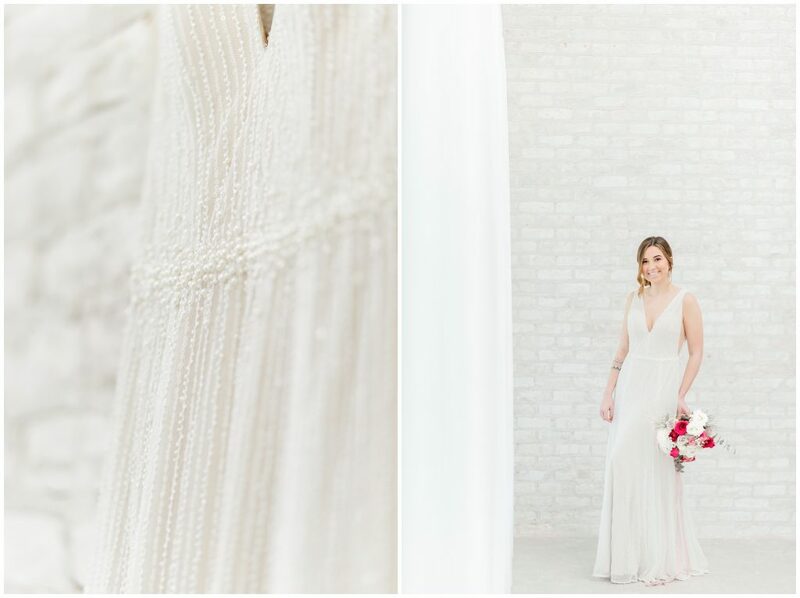 She’s look gorgeous in a burlap sack, but when she puts this Art Deco inspired beaded gown she looks like a Hollywood ingenue. 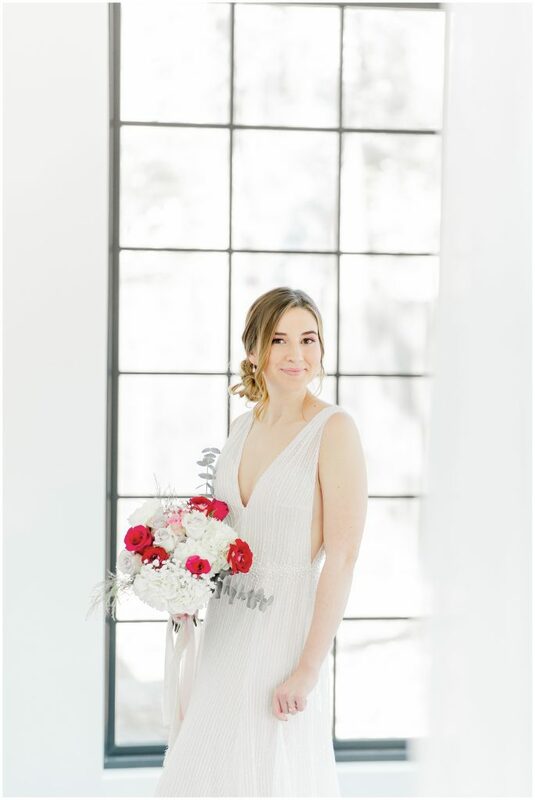 I made her a bouquet from flowers bought at HEB and tied it with a few silk and velvet ribbons from our details styling kit. 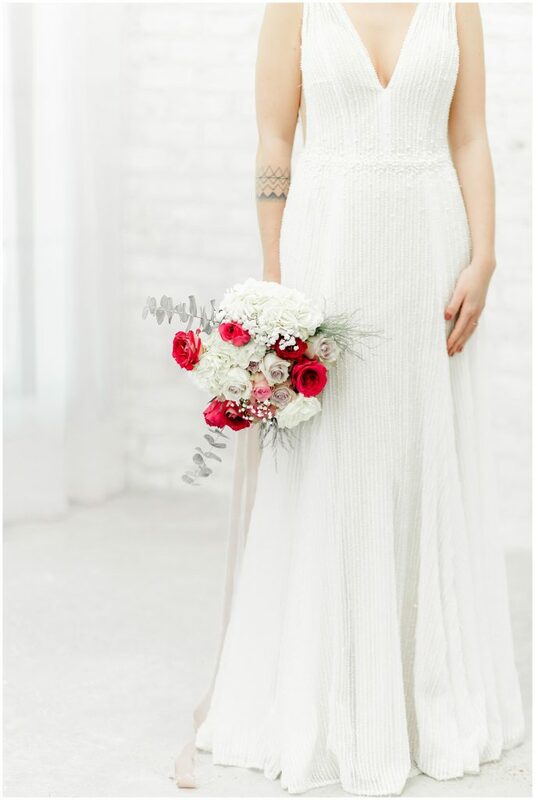 It turned out not half bad. 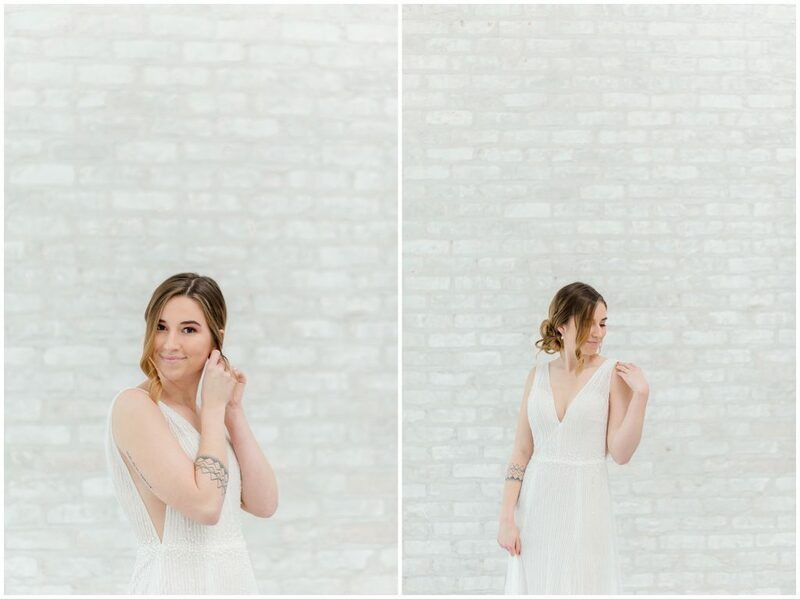 I guess if I ever get sick of photography (never gonna happen!) 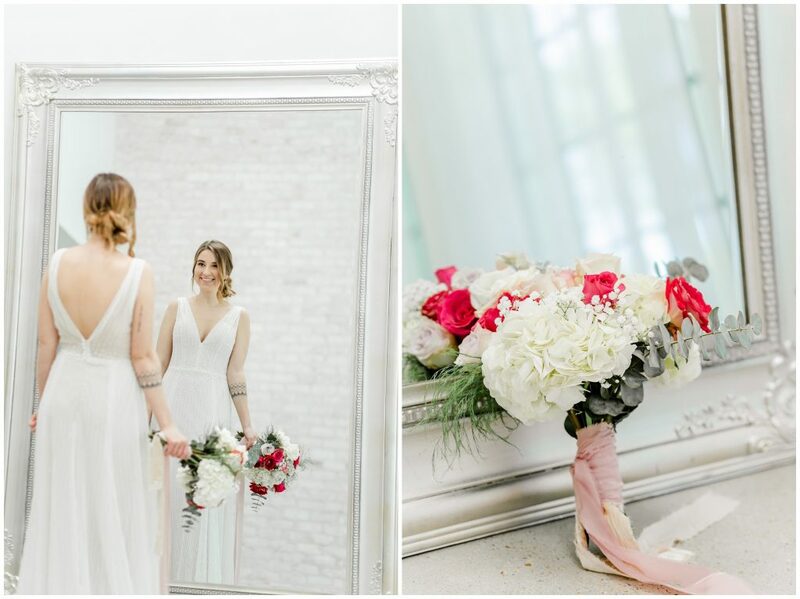 maybe I have potential as a florist! 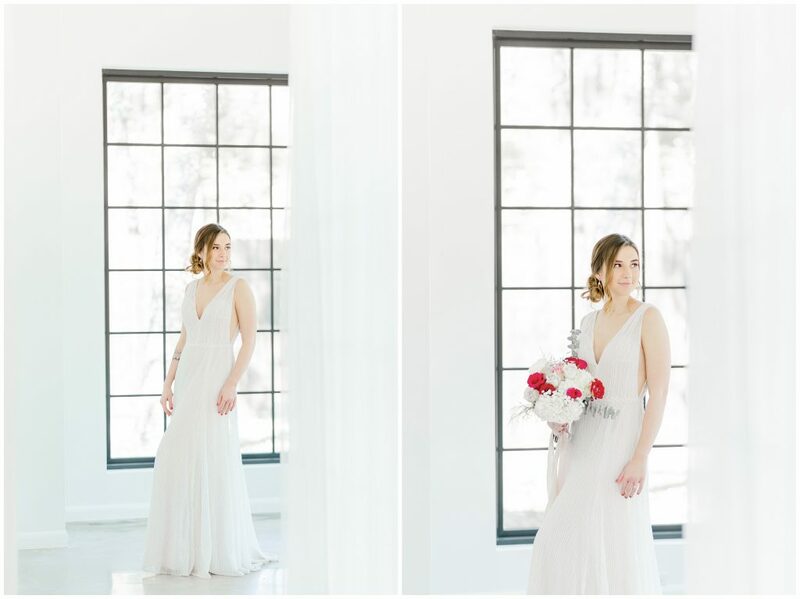 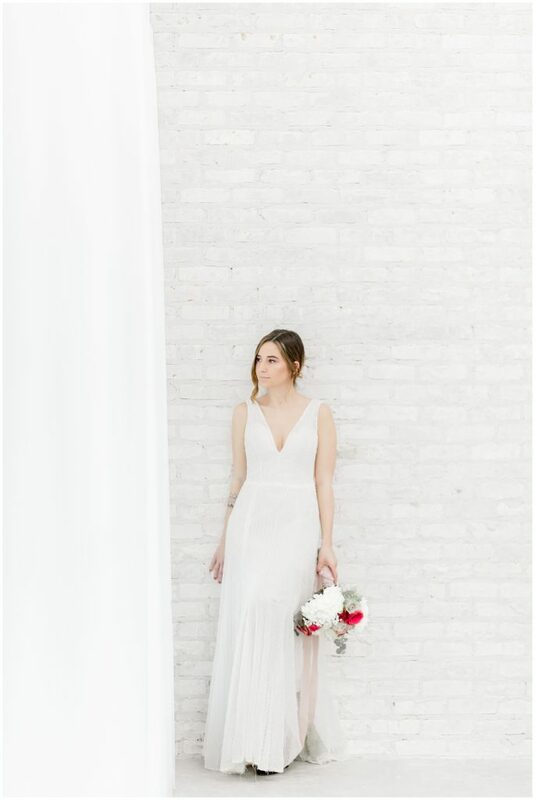 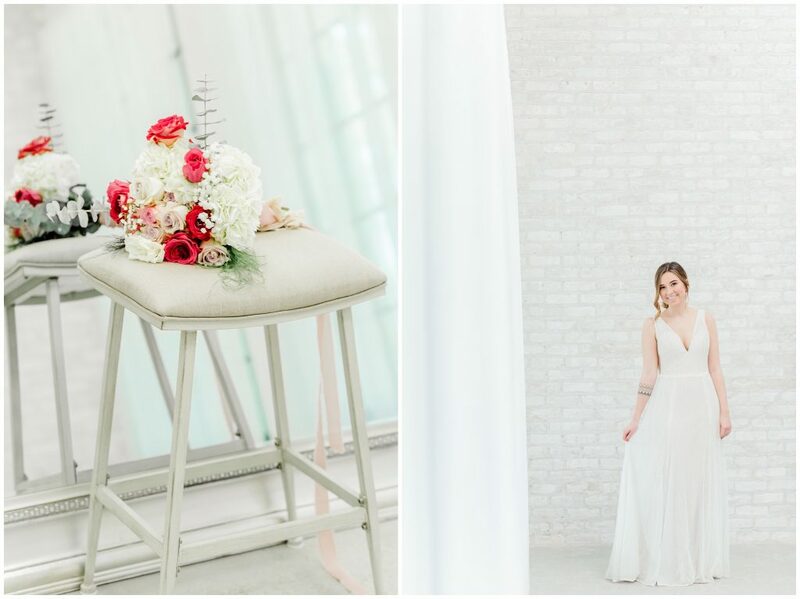 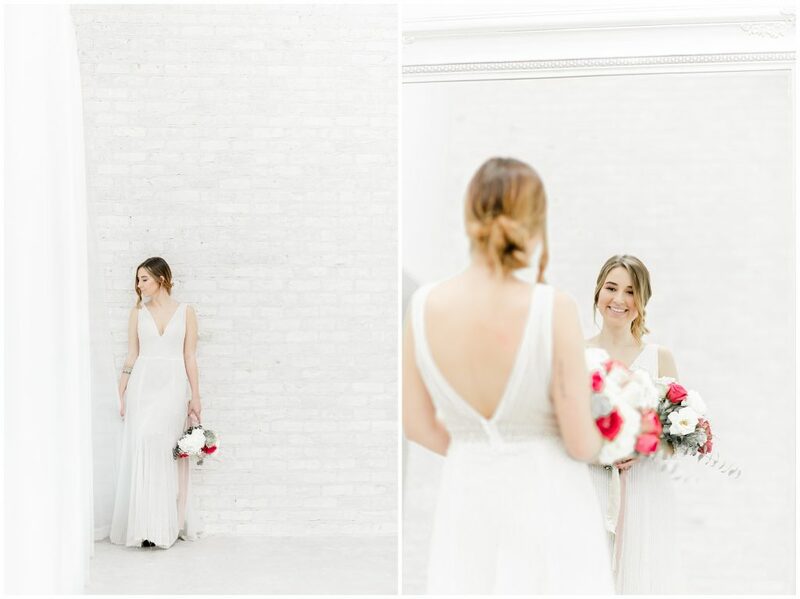 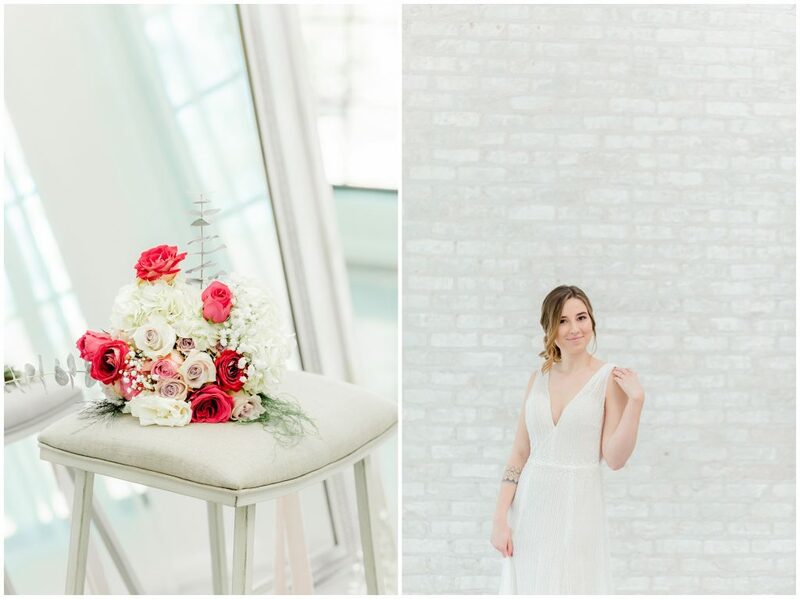 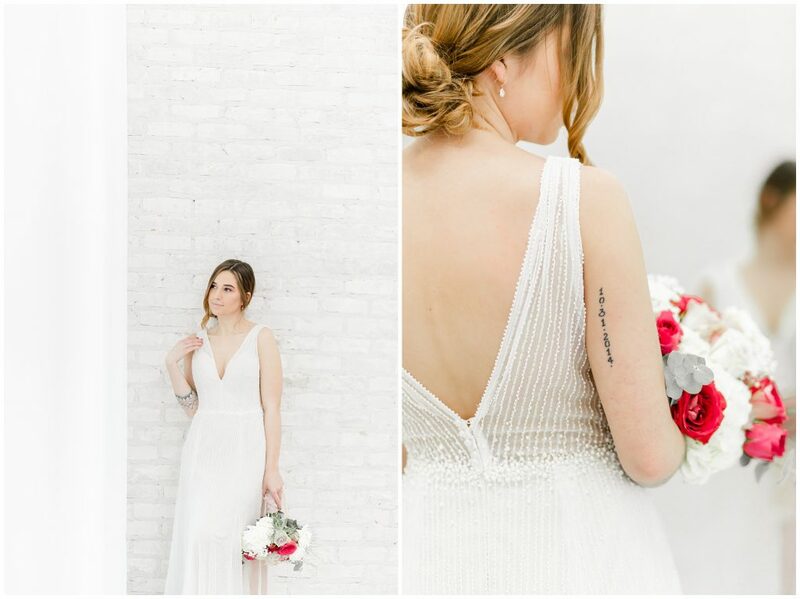 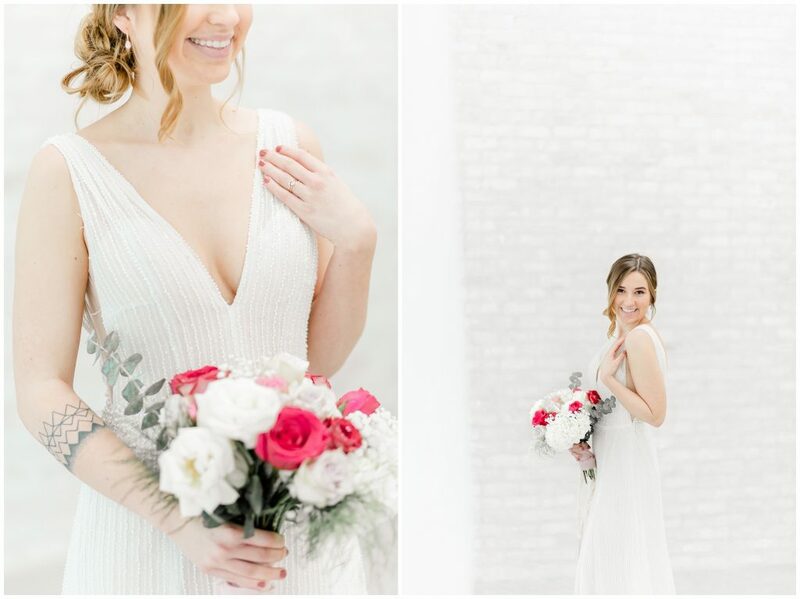 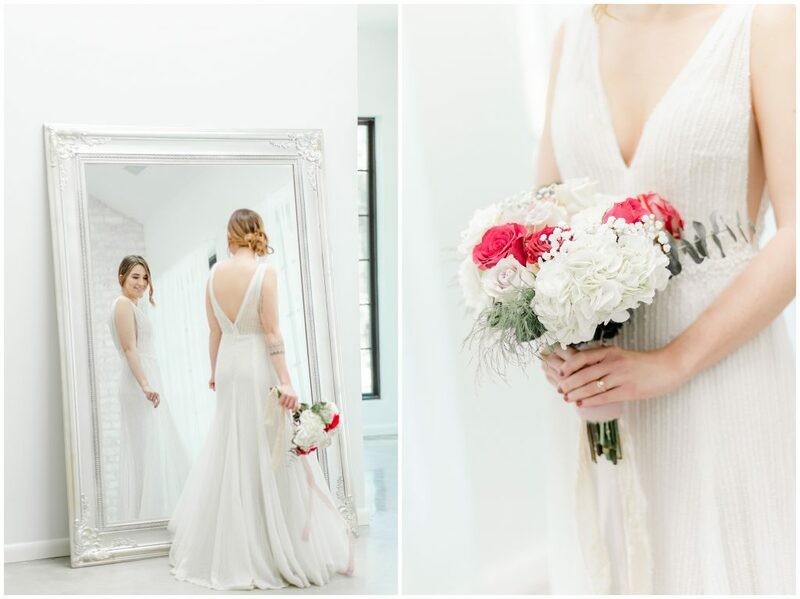 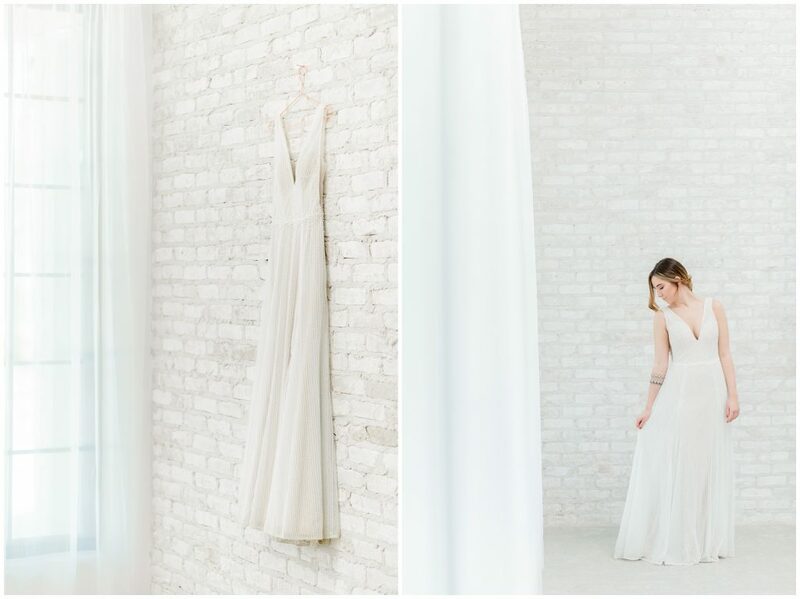 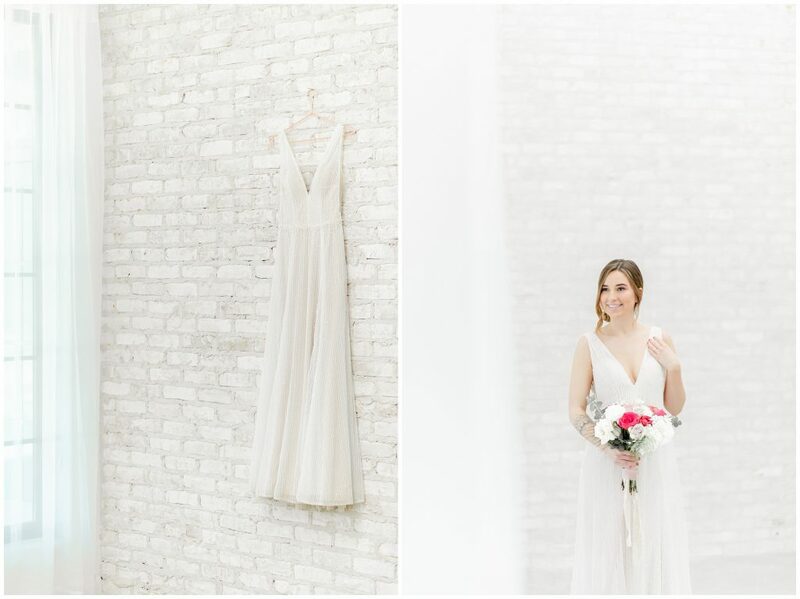 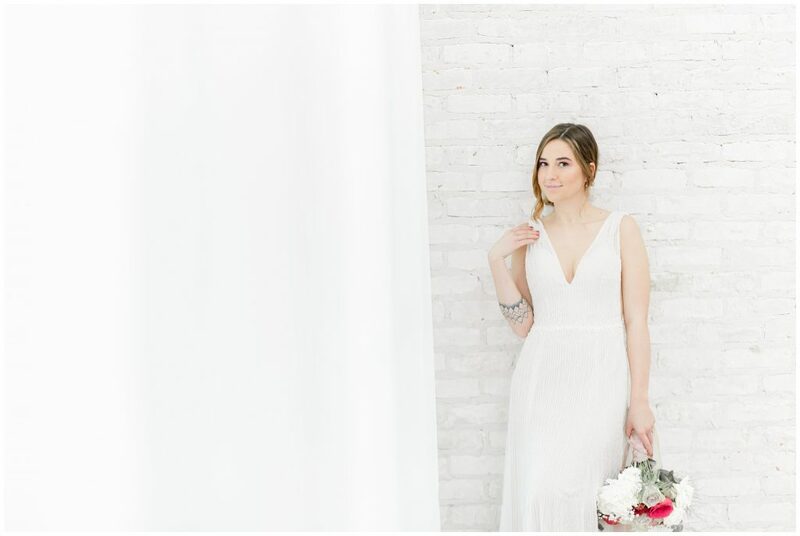 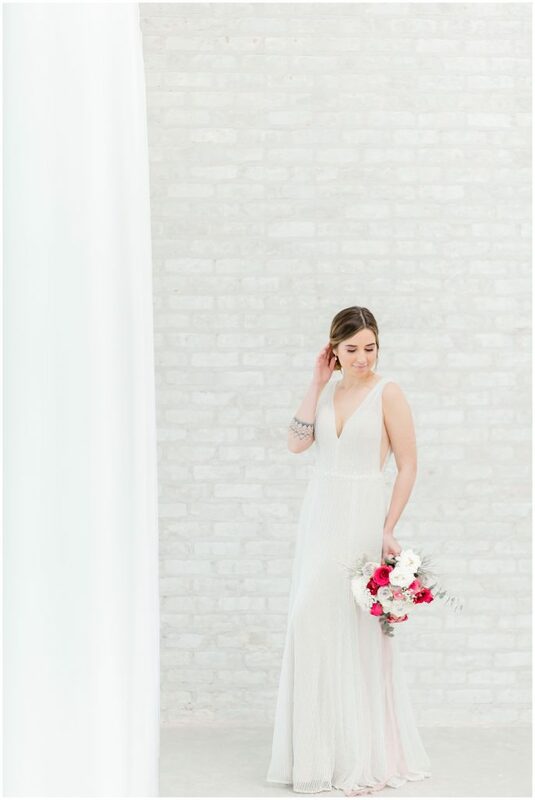 There’s just something so clean and refreshing about her white textured dress against the white brick walls of the Oak Atelier. 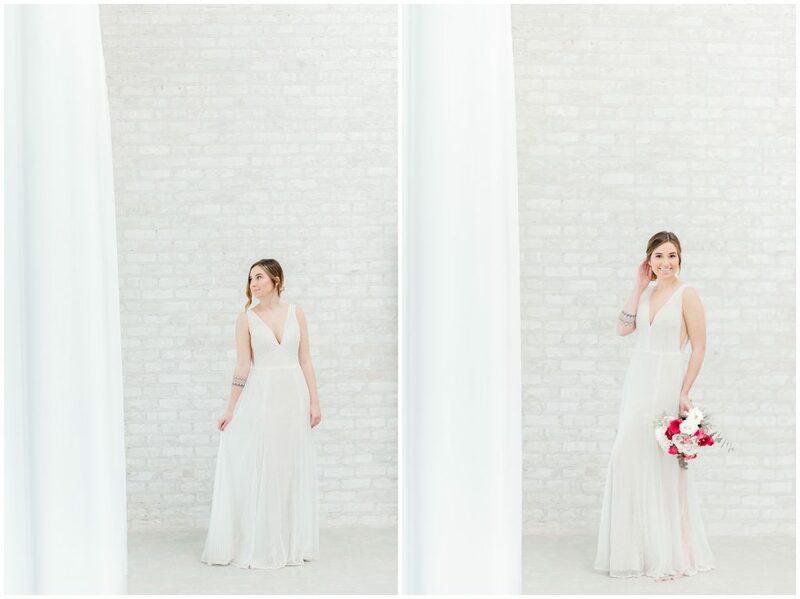 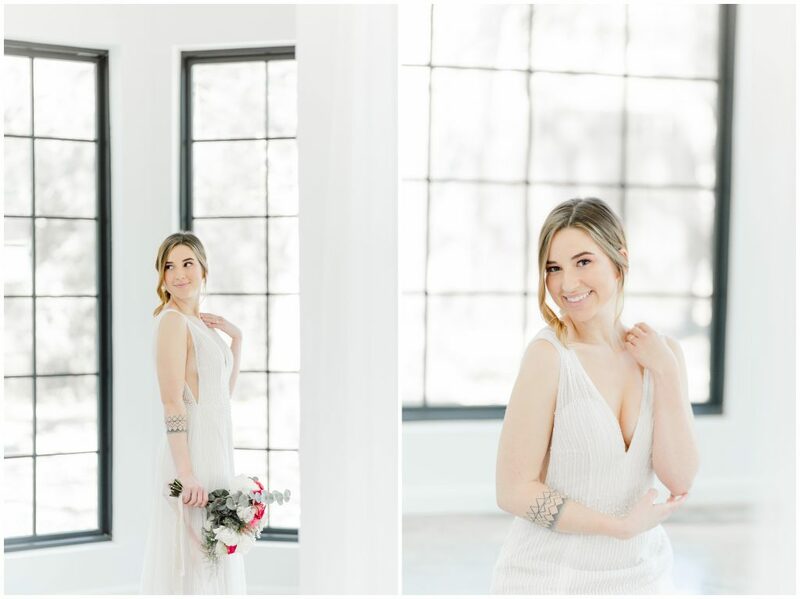 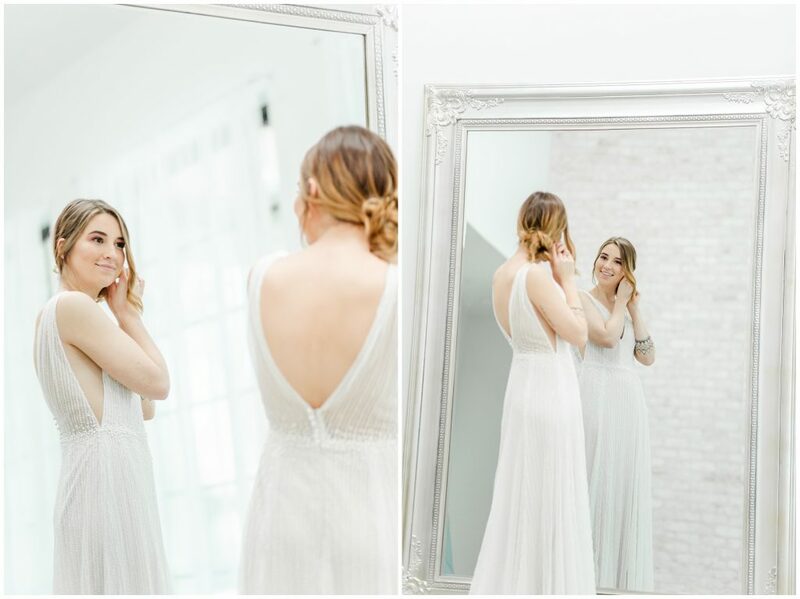 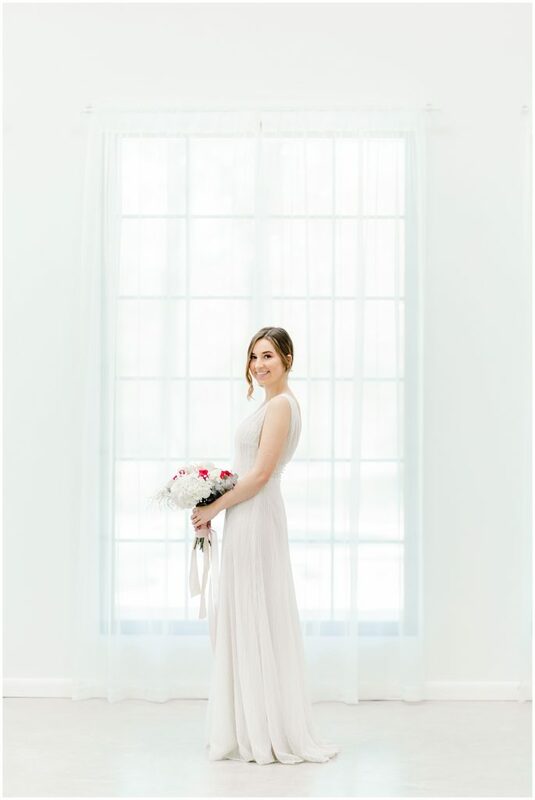 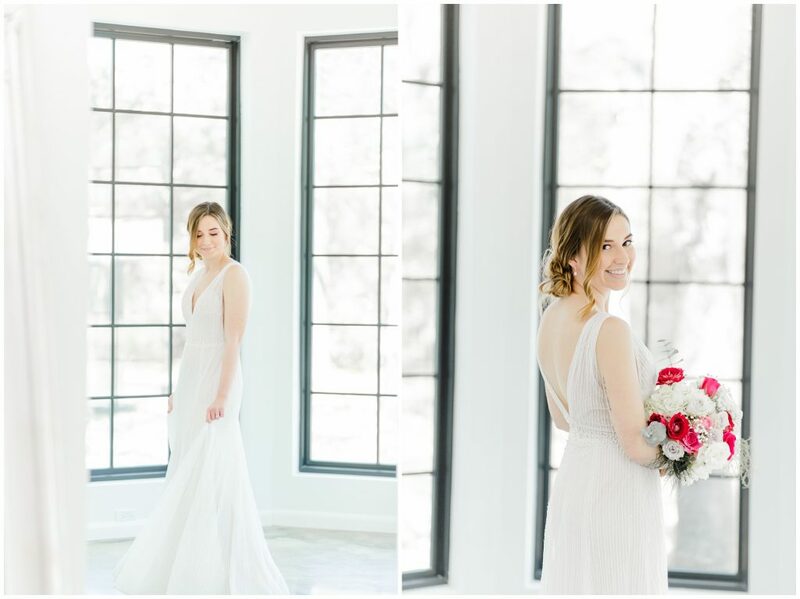 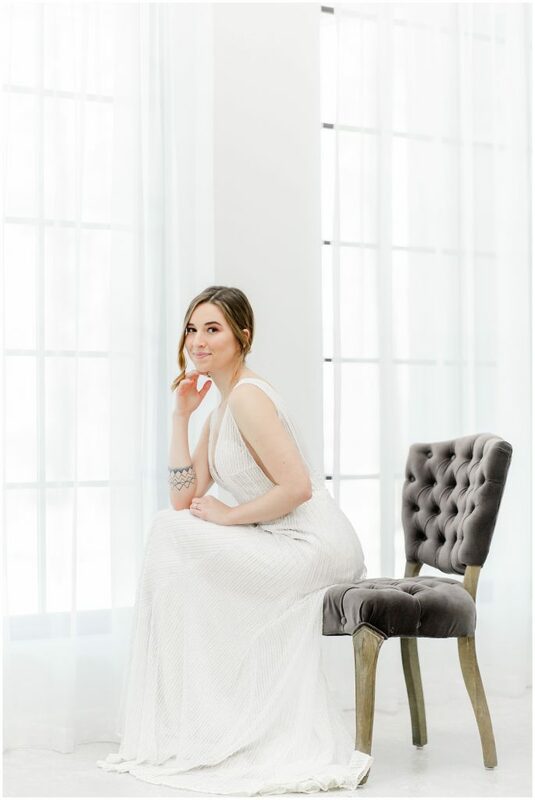 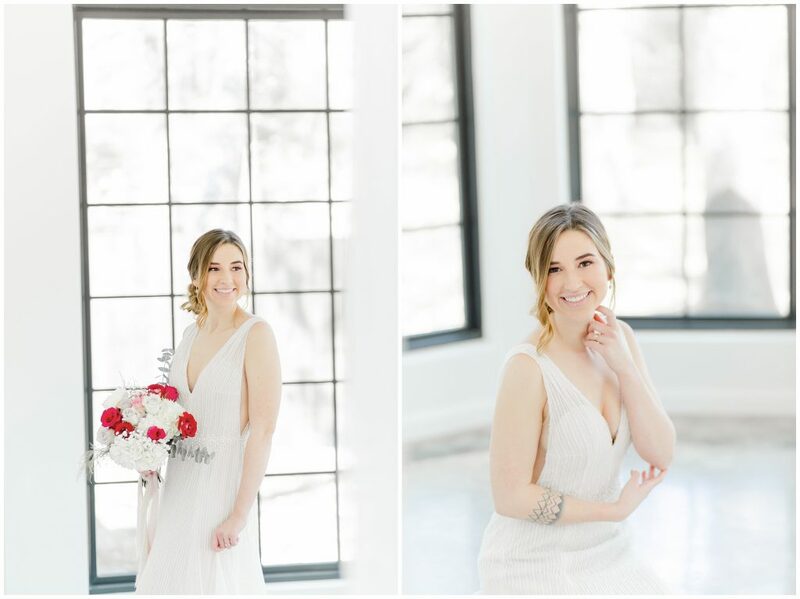 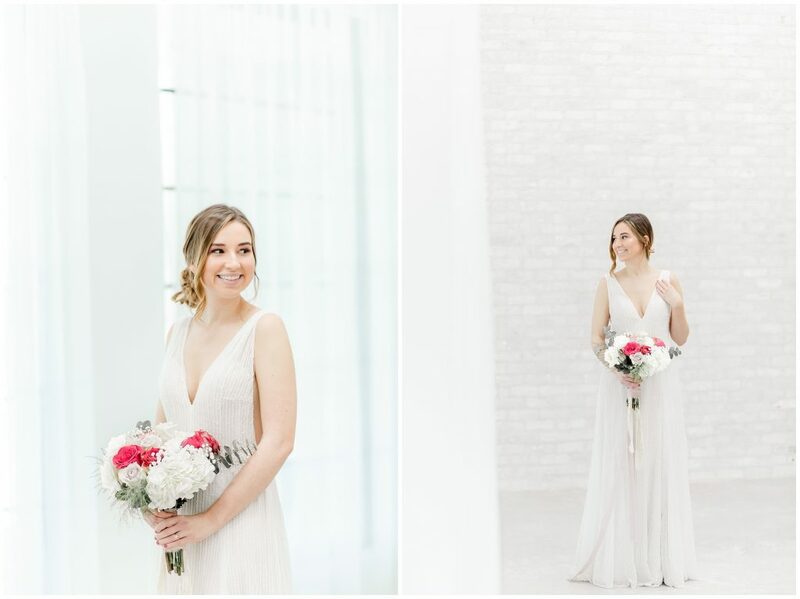 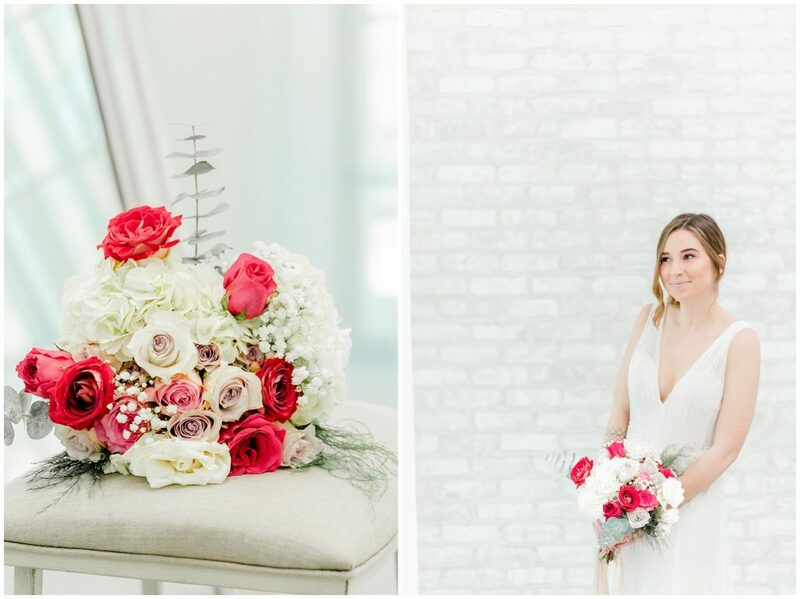 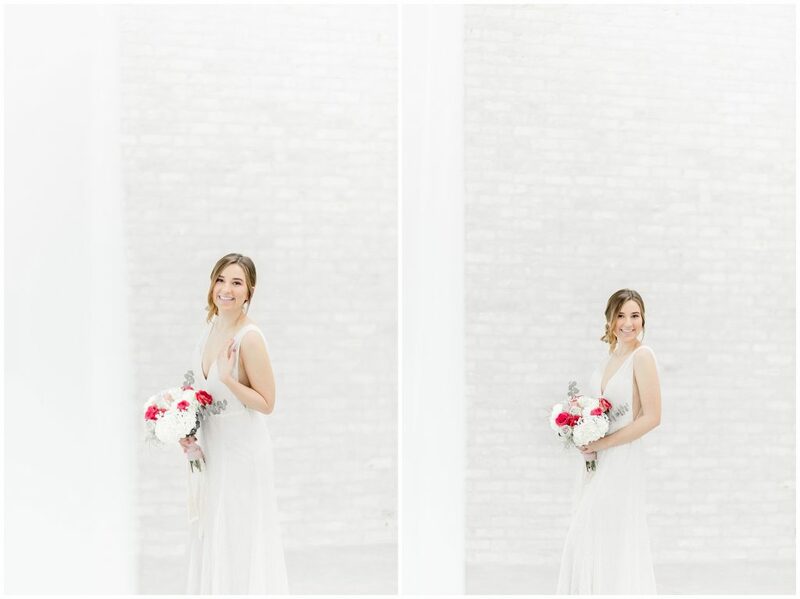 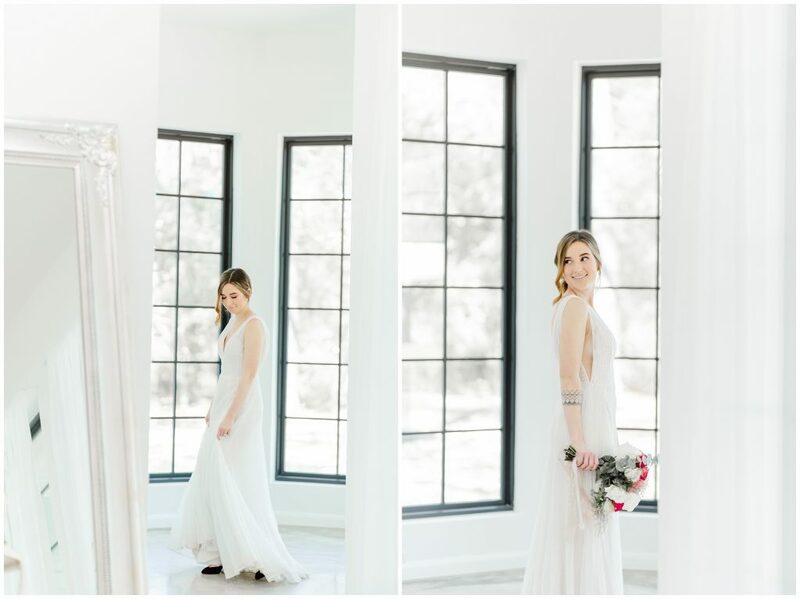 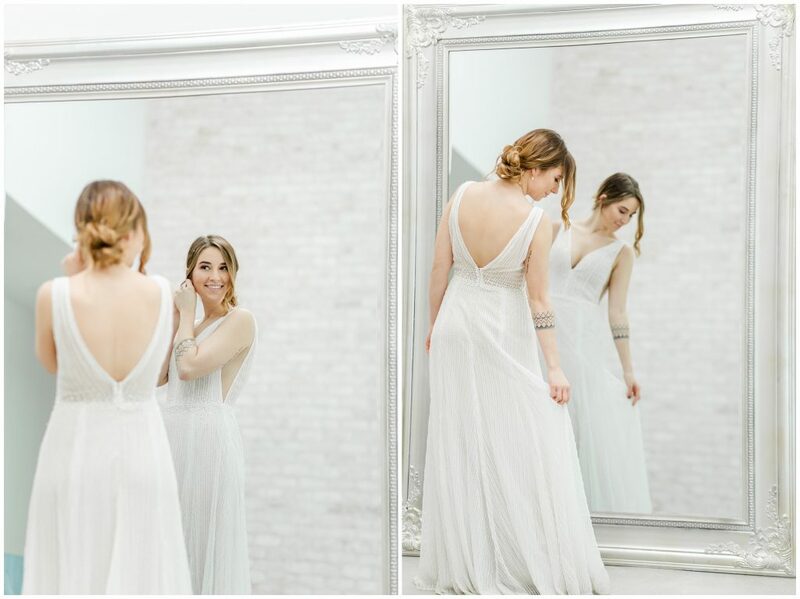 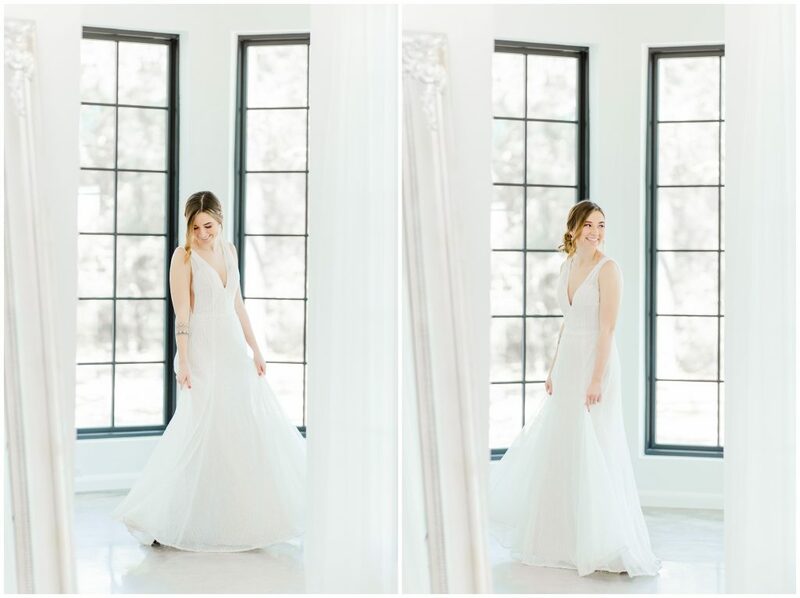 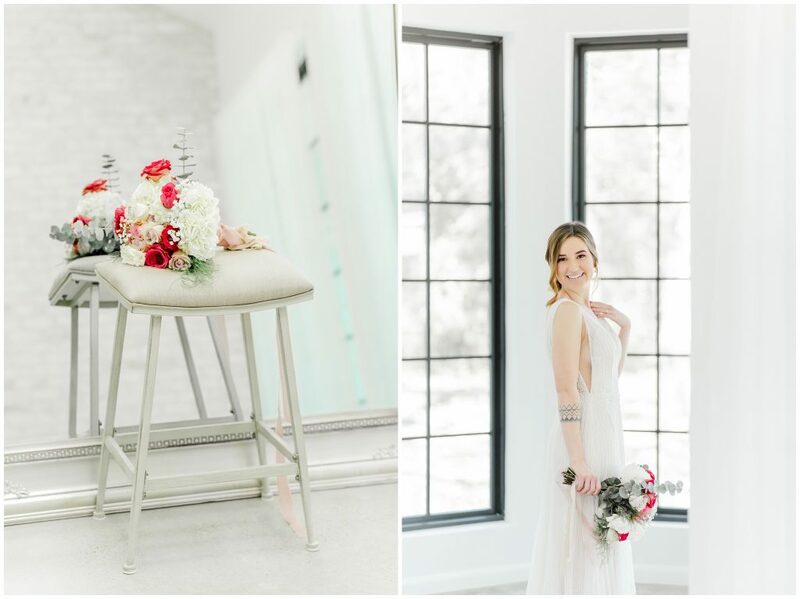 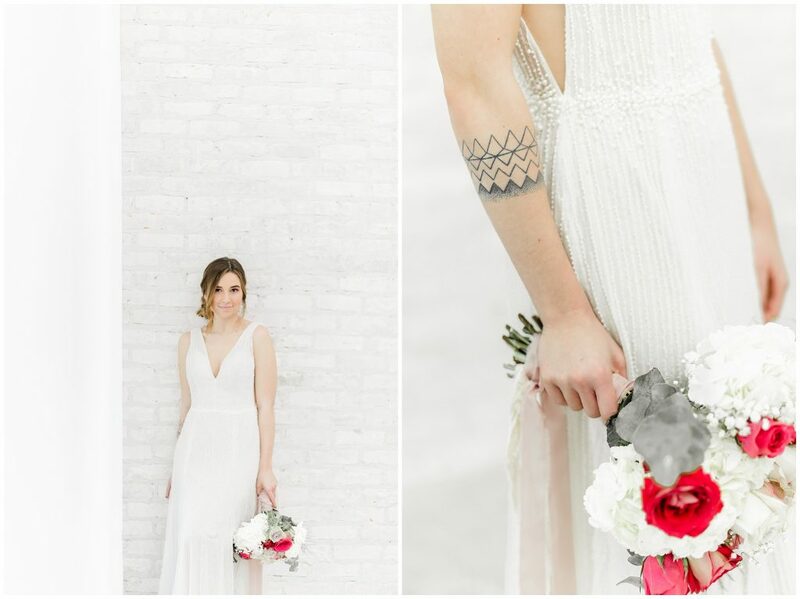 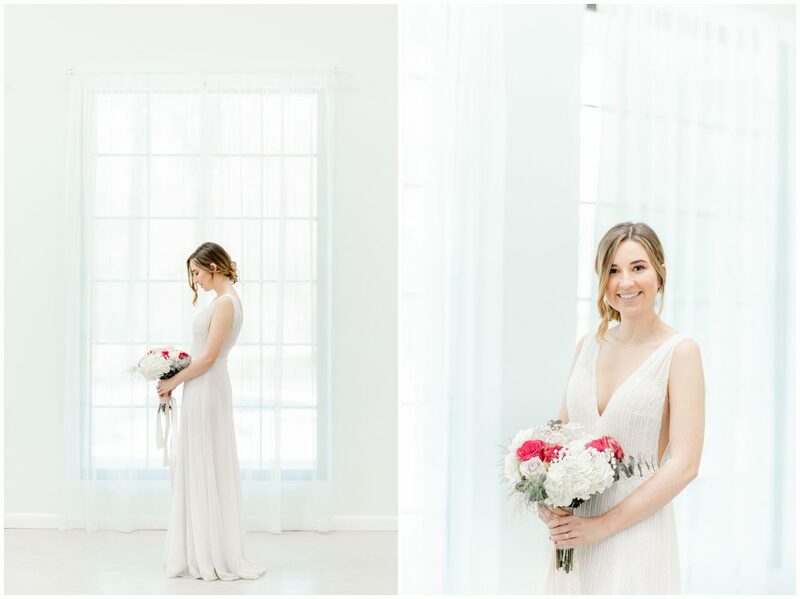 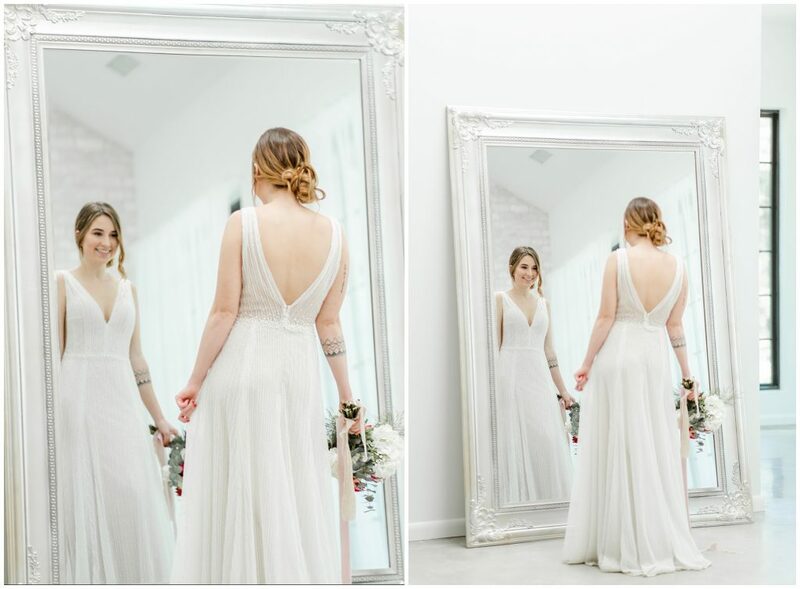 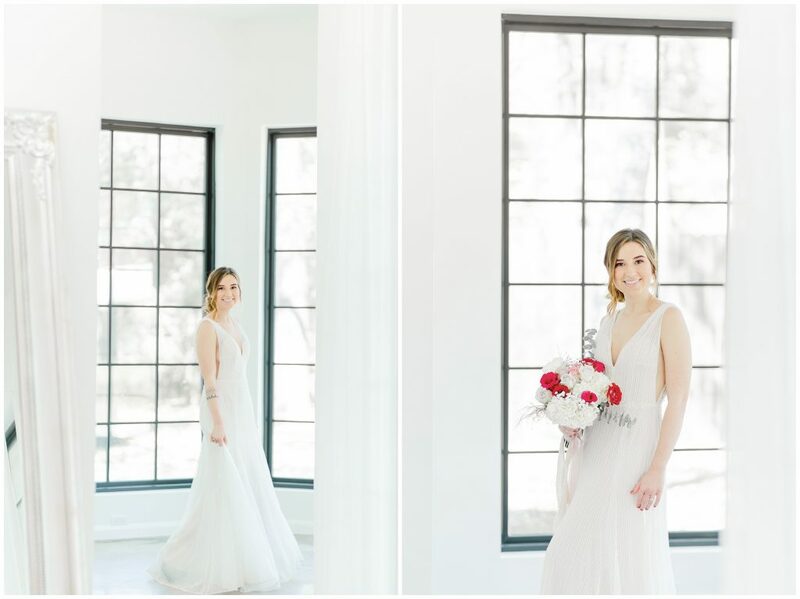 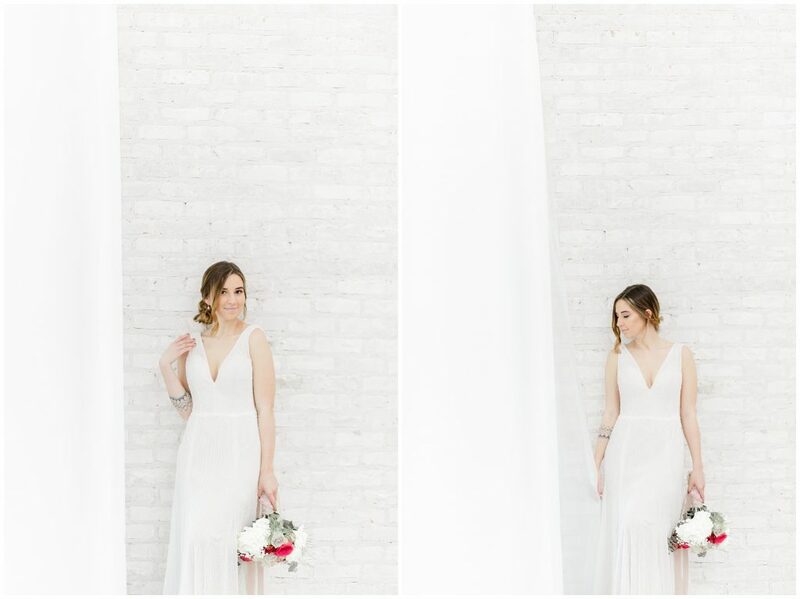 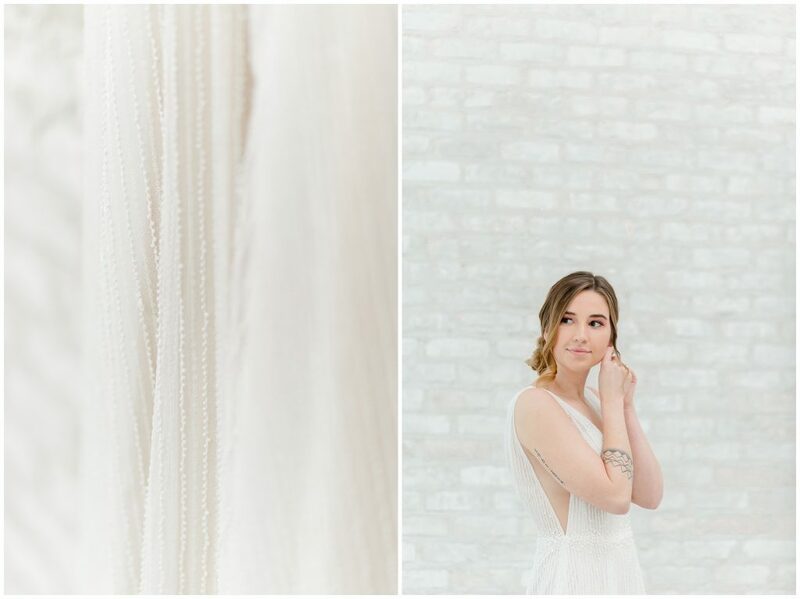 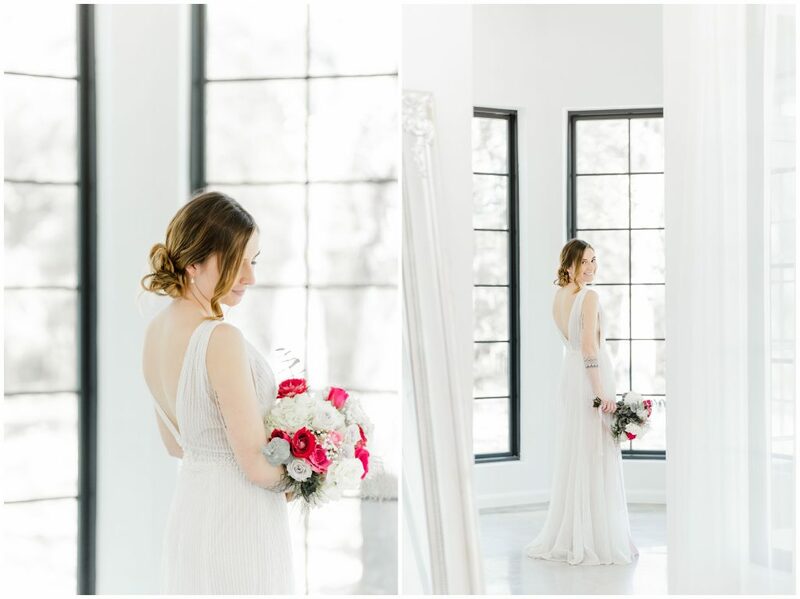 Her photos are super bright and airy and I’m in LOVE with them!